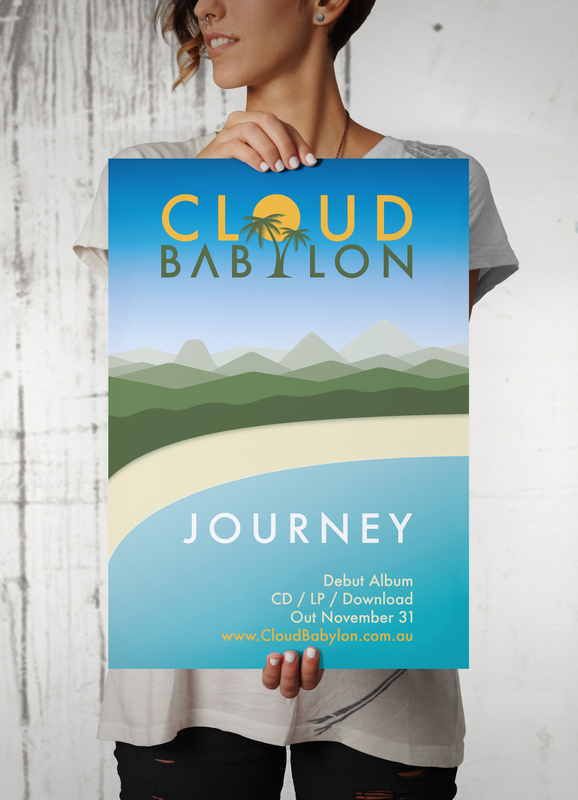 Cloud Babylon are a six piece dub band from the Sunshine Coast, and they wanted a new design for their debut album titled Journey, including a logotype for their band name. This is vector artwork created using Adobe Illustrator. Nb: student work only.